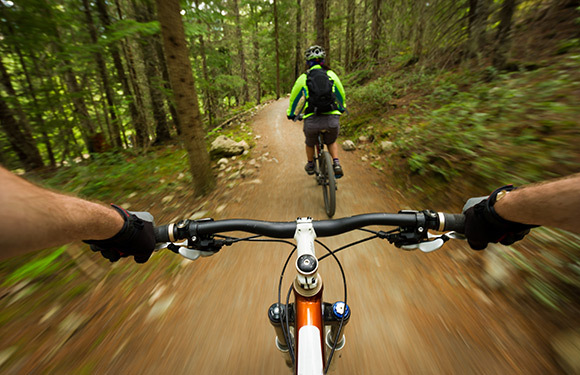 Mountain bike racing is both a challenging and rewarding way to improve your fitness and develop your handling skills. Whether you're aiming to compete in shorter cross-country races or long-distance marathon events, there are a few things you'll want to know before you're standing on the starting line. Mountain bike races are mass-start events and can be quite hectic for the first few minutes, making it important to get off the line cleanly and maintain a good position. If you can execute a successful start, you'll be able to make up lots of places early in the race and avoid the bottlenecks that occur when the course narrows. To improve your chances of getting a good start, scope out the course in advance, so you don't come across anything unexpected in the heat of the race. Additionally, you can practice setting off from a standing start in your training, working on your ability to get your feet onto the pedals quickly and then initiating a sprint. You'll also want to work on trying to remain calm and not expending all of your energy before getting into the race. Since mountain biking is an endurance sport, success relies on good pacing, yet it's an area where many new racers make mistakes. Pacing is a balancing act between riding fast and being conservative enough that you have the necessary energy left to finish the race strong. By pacing your race well, you'll be able to catch riders that are fading. Pacing also minimizes the risk of mishaps. To ensure you're pacing correctly, ride the first third of the race a little easier than you think you should, which will ensure you save enough energy for the later stages. Experienced racers use the lap function on their GPS device to monitor their pace lap-by-lap, which is a tip that can serve riders of all levels. Ultimately, though, ride your own race and be sensible enough to let faster riders go if their pace proves too fast for you to hold. 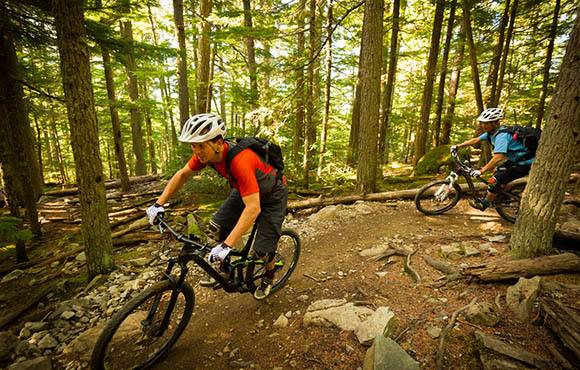 Nutrition plays a big role before, during and after mountain bike events. There's a lot that goes into executing a good fuelling strategy, and planning it out will give you a distinct advantage over less-prepared competitors. Start by identifying where the feed stations are on the course and which parts of the track will be best to consume food or drink. You're looking for flat, non-technical sections like a fire road or a field where you can safely take a hand off of the handlebars. 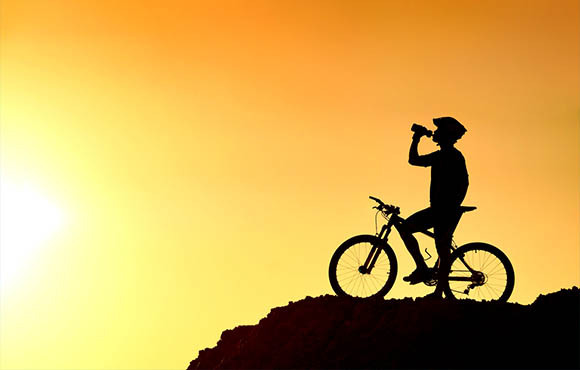 Next, experiment with energy drinks and food ahead of your first race to make sure they don't cause digestive issues and are palatable during intense riding. When it comes to pre-race nutrition, try to finish eating your main meal around 3 to 4 hours before the start of your race. This will ensure your blood sugar levels aren't too low and that you're not weighed down by a full stomach. Making sure you're warmed up for your race is key to a strong performance, particularly for shorter events. A good warmup procedure will prepare the muscles and tendons for competition and get oxygenated blood flowing to vital areas of the body. First, try to warm up for at least 20 minutes before your event, as this will allow enough time for you to gradually build up the intensity and raise the temperature of the muscles. While it might seem counter-intuitive, allow longer warm-ups for shorter events, since these will almost always be performed at a higher intensity. You'll also want to maintain the heat generated by your warm-up as best you can. Do this by warming up as close to the start of your event as possible and also wearing insulating clothing once you've completed your routine. Be sure to experiment with different ways of warming up before you get to your first race so that you're clear on exactly what does and doesn't work for you. Lining up for your first race is nerve-wracking enough without having to worry about whether your bike is up to the task. Confidence is a big part of doing well in any sport, and while you need to be sure of your riding ability, you must also trust that your equipment will make the cut. 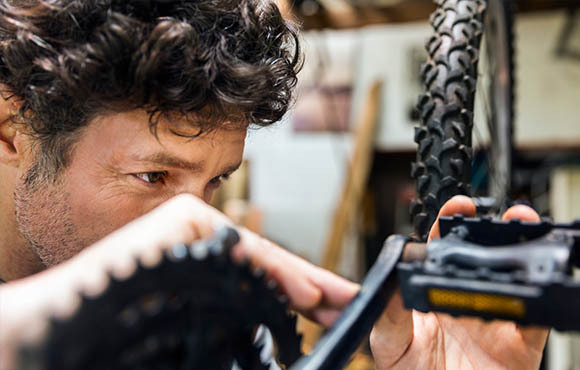 Ahead of your first race, perform a few key checks of your bike. Ensure that all bolts are properly tightened, including those around the stem, the seatpost and the gears. Using a torque wrench to check the tightness against the manufacturers recommendations will ensure sure you're not under- or over-tightening, the latter of which is crucial if you're using carbon fiber components. 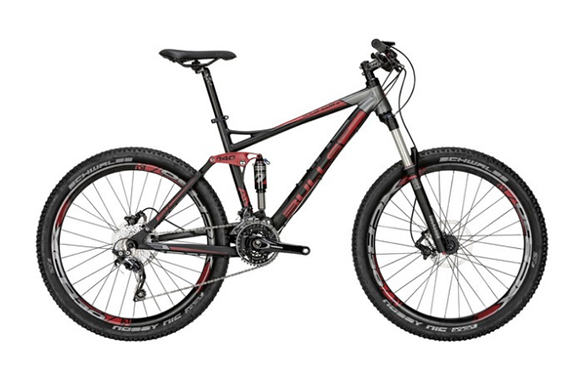 You'll also want to have thoroughly tested your bike before your race so that you're comfortable with your setup. Arguably the most important area is what tire and tire pressure you'll be using. Try different designs to find a tread you're comfortable with and use your pre-ride of the course to dial in the best pressure for grip and rolling speed.